LEXINGTON, Ky. (June 11, 2018) — Educators from across the country will delve deeper into the history of addiction during a summer institute being held at the University of Kentucky. The three-week course titled, "Addiction in American History," runs June 10-29. Twenty-five K-12 summer scholars were chosen through a nationally competitive selection process. Together, they will participate in learning academic content from leading historians and take part in pedagogy workshops. Almost every geographic region will be represented at the institute. Scholars are coming from as far as California and Washington; with the closest being from Lexington. The prestigious institute is made possible by a grant awarded by the National Endowment for the Humanities (NEH). The grants, offered annually, provide summer professional development for educators who spend anywhere from one to four weeks studying a topic and integrating this study into their current teaching. "What I find most exciting about the programs is the way they’re designed to inspire teachers to implement new ideas and projects in diverse educational settings across the country," Claire Clark, assistant professor of behavioral sciences at UK and director of the institute, said. It's no secret, drug-related deaths in the United States have reached shocking numbers in recent years. While the statistics are unprecedented, some argue, the current drug crisis has historical precedent. "Although addiction history may seem like an obscure topic for pre-college educators, it’s a useful starting point for making interdisciplinary connections between the humanities and sciences. Drug education has traditionally been the job of science teachers and health educators, but without the humanities, we have no historical context for comprehending what it means to classify addiction as a disease and no tools to thoughtfully analyze stories of addiction and recovery. Each time communities struggle to make sense of a new wave of addiction, this humanistic perspective is sorely needed," Clark explained. The institute will draw on knowledge of visiting and local program faculty, as well as, the historical resources of Lexington. A tour of Buffalo Trace will illustrate how commonplace drinking alcohol was in early American life and why it later became controversial. 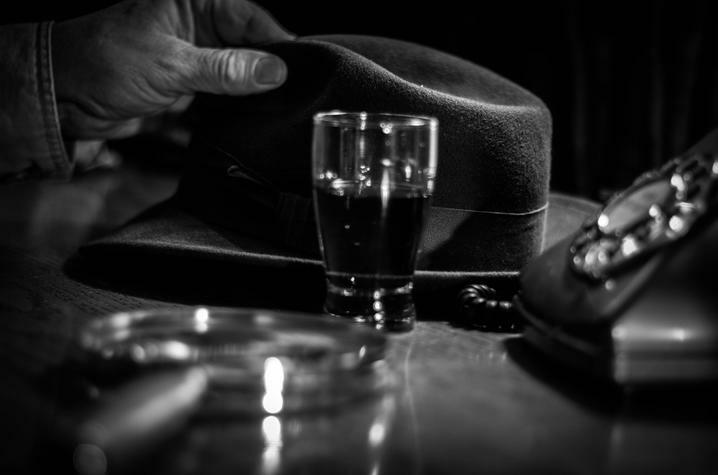 The visit will also connect the past to the present by showing, how, contrary to popular belief, national alcohol prohibition was not total prohibition. There were legal loopholes for consumers and producers of medicinal alcohol, just as there are for other restricted psychoactive substances, such as marijuana, today. The group will also participate in a walking tour of Cincinnati, focused on the intersection of immigration, race and ethnicity and substance use policy in the Progressive Era. Cincinnati was a hub for German, Eastern European and Irish immigration at the turn of the 20th century and prohibition hit beer producers and consumers in those communities particularly hard. Finally, they will be looking at the Lexington Narcotic Farm. The nation’s preeminent addiction treatment provider, from the 1930s to the 1970s, was housed at what is now the Federal Medical Center (FMC). The institute will close with a tour of the FMC that will give scholars the opportunity to see what the space looks like in present day. From 4-6 p.m., June 14, there will be a screening of the film, "The Narcotic Farm," in Room 203 of The 90. The 2008 documentary tells the story of the rise and fall of the U.S.’s central addiction treatment hospital/prison. The hospital, colloquially known as the “Narcotic Farm,” accepted voluntary patients and court-ordered offenders, and ran the nation’s preeminent research center for the study of addiction. It was closed in the 1970's when the nation began to transition to a decentralized system of treatment facilities. The event, which is open to the public, will feature a Q&A with the directors of the film. Organizers of the institute hope this opportunity will empower educators to teach about addiction from a humanistic viewpoint. "Epidemiologists have a concept called 'generational forgetting' in which knowledge of a drug’s adverse effects fades as younger generations who have no experience with the drug come of age. This usually leads to history repeating itself with another epidemic of drug use and addiction," Clark said. "I would hope that educators come away from this institute with a historical memory of past drug crises and a plan for passing this history along to their students." For more information about the NEH, visit their website.